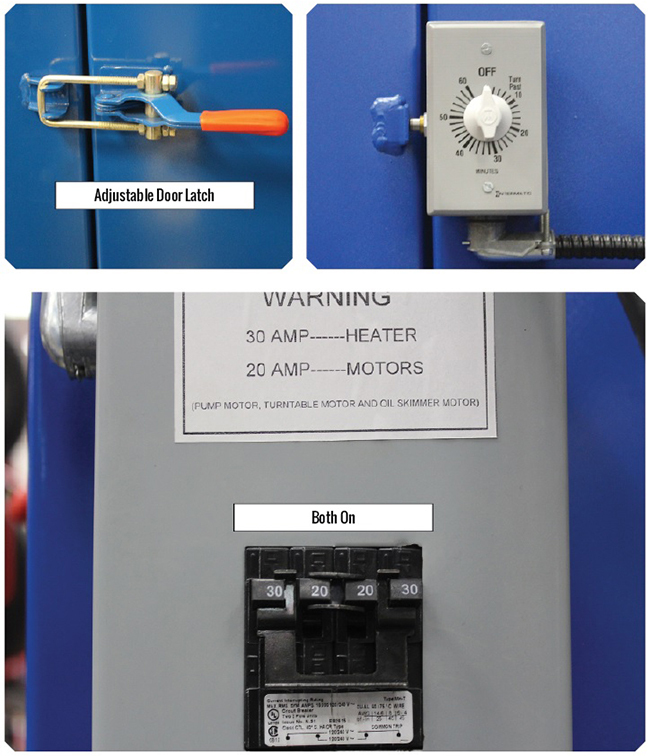 Please read this Initial Start-Up Procedure Guide before installing and using your Atlas® Spray Wash Cabinet. It is extremely important that you understand this simple step by step installation/instruction manual. These simple steps will take a total of about two (2) hours to perform. Failure to follow the procedure outlined in this simple start-up guide may void your Manufacturers Warranty. 1. Check all wire connections. Vibration during shipment may have loosened wires. Please have a qualified electrician on site to make electrical hook-up and inspect wiring connectivity. Move spray wash cabinet to area where it will be used. 2. Make sure that the Spray Wash Cabinet power cord is unplugged from the outlet or, if you have wired it directly to an electrical panel, the breaker which controls the Spray Wash Cabinet is turned OFF. 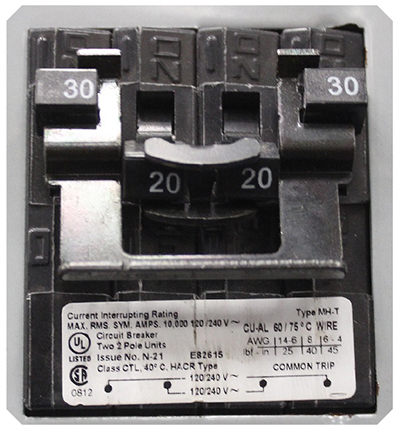 Make sure Heat and Motor Switches are in the OFF position. Also, make sure the Cycle Timer is OFF. 3. 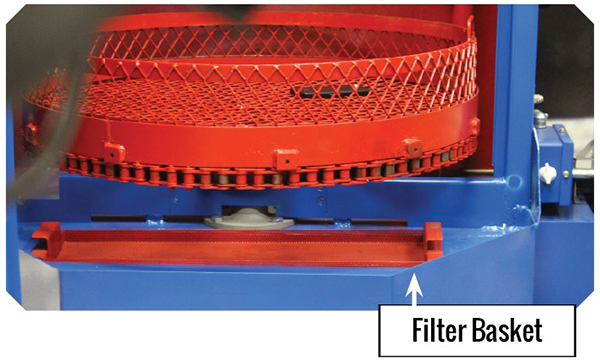 Add water to the tank until water level is just over the bottom of the filter basket. 4. Set the Thermostat between 135 - 175 Degrees. 5. 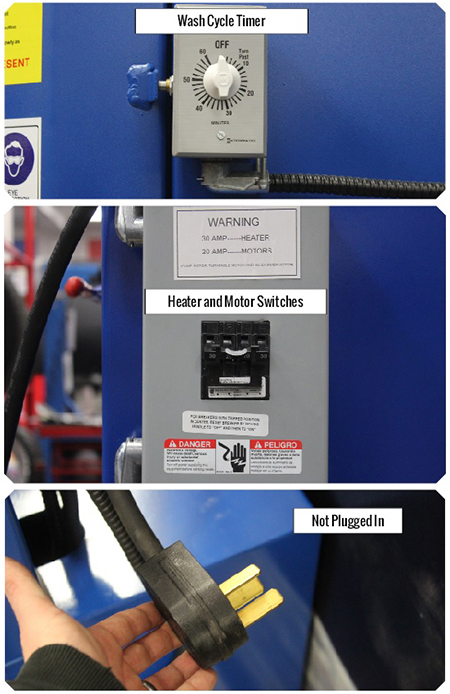 Turn on the Breaker (if hard wired) that controls the Machine or plug in the power cord. 6. Turn the Heater Switch to the On Position. 7. After the water reaches the temperature you have set the thermostat to (this may take up to an hour) *add the recommended style detergent directly to the filter basket. Be sure to follow the detergent manufacturers directions regarding the amount of detergent to add. *You must use a LOW FOAMING detergent with rust inhibitors. Use detergent strong enough to do the job but not so strong that it attacks the metal substrate. Liquid detergent is to be used. Powdered detergent contains a high amount of silica. This makes it very abrasive and more caustic as it dries on metal. Liquid detergent rinses much more completely and is the best type of detergent for your Machine. Read instruction manual on soap container. 8. Close and latch the door. Turn the MOTOR Switches to ON and set the wash timer to run a 15 minute wash cycle. 9. Walk around the machine and check for leaks. When the wash cycle ends, if there were any leaks around the door, open the cabinet and adjust the spray nozzles to spray away from the door. 10. 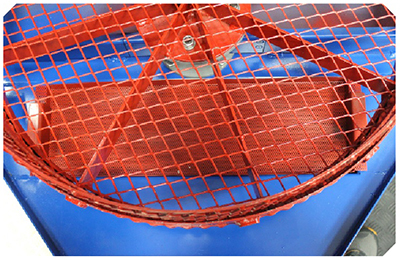 Adjust the oil skimmer fl anges to make light contact with the skimmer wheel. 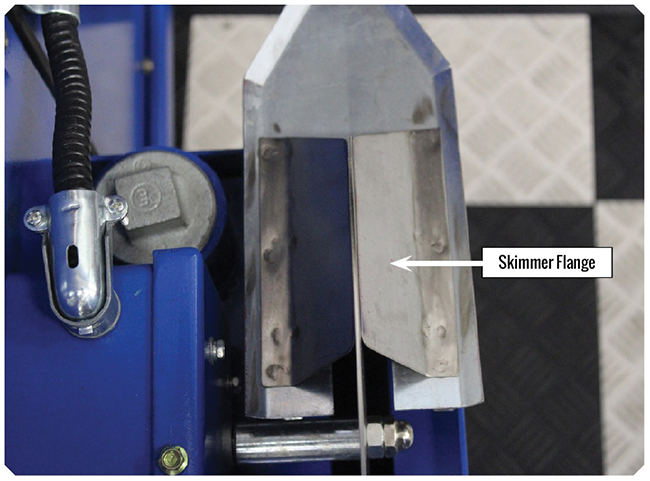 Aggressive contact against the skimmer wheel may strain the skimmer motor. 11. Run the Cabinet for at least four (4) complete 15 minute wash cycles over the next two days. The goal of this is to thoroughly coat the inside of the Cabinet with the Rust Inhibitors contained in the recommended style of Detergent. This will help keep the inside of the Cabinet free of rust between washes. You may clean parts after completing the initial 15 minute wash cycle. 12. Do not allow sludge to accumulate and exceed a 1 depth. Clean this sludge from the tank within the first week (See Instruction Manual). If you are cleaning the same parts each time, you will get a good idea of how often you need to remove the sludge from your machine. 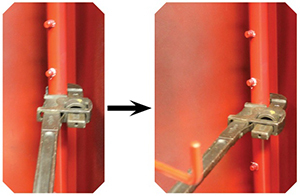 You will also be able to determine the type of cleaning solution and length of run time needed. 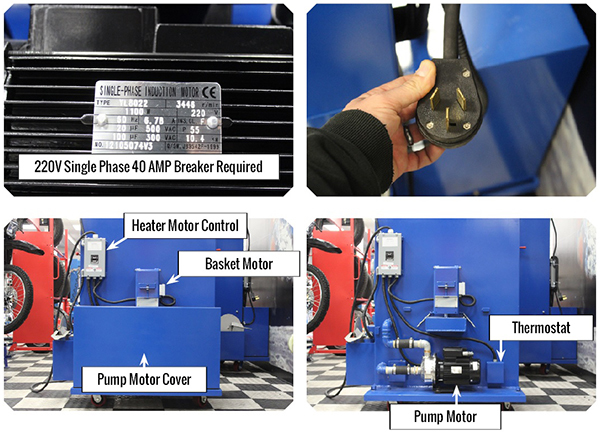 More complete instructions are located in your Installation and Operation Manual. 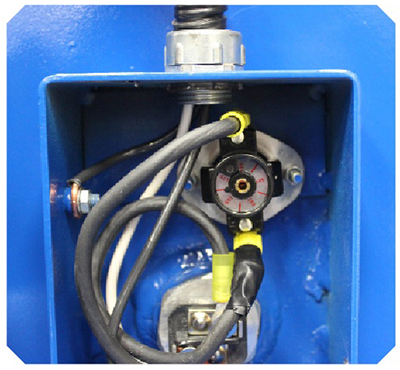 If you are going to let the machine sit unused, for any extended period of time, SPRAY COAT the inside surfaces with WD40 or recovered oil from skimmer to assure rust does not develop.